28 AUGUST / 1 SEPTEMBER 2019, 5 DAYS OF PURE TANGO! 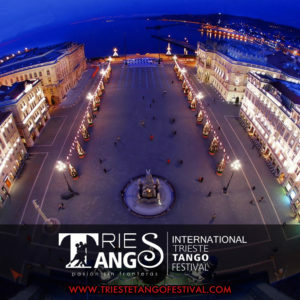 In the magical Trieste (Italy), mitteleuropean city located on the shores of the Adriatic sea, the International Trieste Tango Festival is back with its 7th edition. The main event will be held in the beautiful venue of Molo IV, entirely surrounded by the sea. Also this year, it will feature an international cast of the best maestros and the most famous orchestras every evening, as well as new events such as concerts, walks, afternoon milongas… 5 days of pure Tango! The festival was born in 2013 from an idea of the GB Tango Academy director GUILLERMO BERZINS, argentine teacher and dancer that moved to italy from Buenos Aires in 2010 and today the Artistic Director and teacher of the GB Tango Academy. The chosen location and the artists is carefully studied so it can offer an event that the guests will remember for long time. 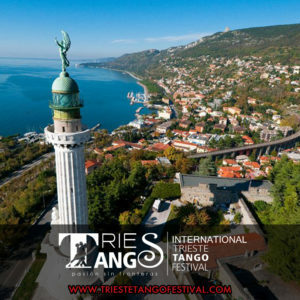 The Festival recalls passioned tangueros and professionals from more then 20 countries of the world, reuniting the best orchestras and guests of international fame, an unique atmosphere of its genre that is craddled from the golden sea of trieste evenings. 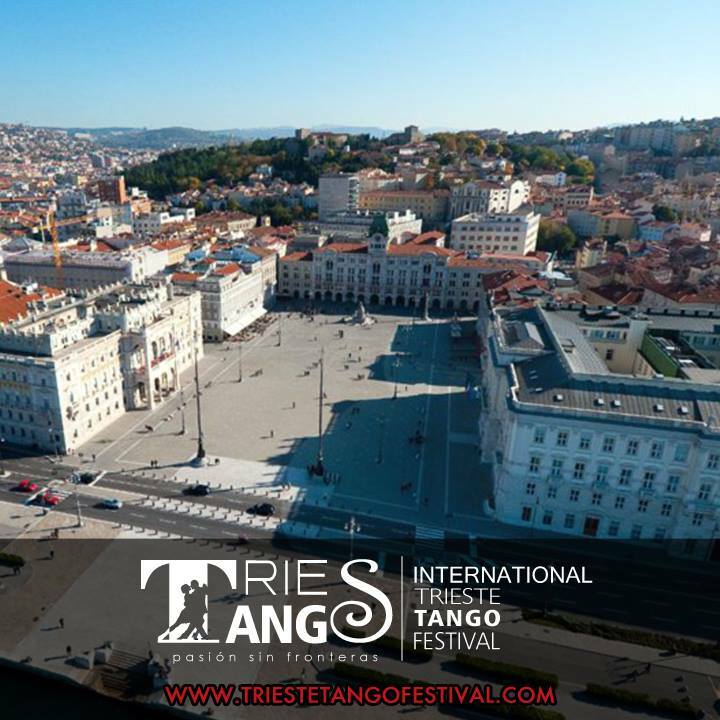 This year the Festival will be opening Wednesday the 28th of august 2019 from 8.30pm at the Miela Theatre with an Argentine Tango show: the concert by the orchestra Corazón de Tango directed by the concertmaister OKSANA PECENY. During the evening the spectators will have a chance to assist in an exhibition by the maestros of the most important Argentine Tango schools of Friuli Venezia Giulia. 3 ORCHESTRAS: Corazón De Tango, Tango Spleen & Beltango. 6 MAESTROS: Mariano Otero & Alejandra Heredia, Gustavo Rosas & Gisela Natoli, Joe Corbata & Lucila Cionci. WE’LL JUST HAVE TO WAIT UNTIL AUGUST THE 28TH AND WITH YOU FUN AT THE FESTIVAL!